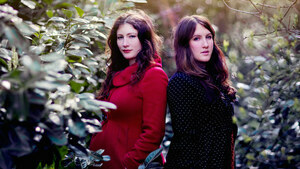 Folk project The Unthanks are one of the wonders of the modern world. And Emily Brontë is one of the wonders of ye olde literary world. So what could possibly be better than Northumberland’s finest musical ensemble performing a song cycle of the legendary Yorkshire writer’s poetry set to music? Yet this has come to pass! The concert follows on the back of their most recent album trilogy ‘Lines’, the third part of which features the Brontë song cycle, which was recorded in the Parsonage in Haworth, Yorkshire, where Emily lived and worked. But before that, a stripped down line-up of The Unthanks featuring just Rachel, Becky and Niopha Keegan will raid their own extensive back catalogue when they play two Irish shows at Dundalk Spirit Store on May 29 and Dublin Pepper Canister Church on May 30. Nick says: Heathcliff, it’s The Unthanks, they’ve come home! Posted in Misc and tagged Emily Brontë, The Unthanks at 4:52 pm on April 25, 2019 by Nick Kelly. Where you can feast on cyclists, amirite. 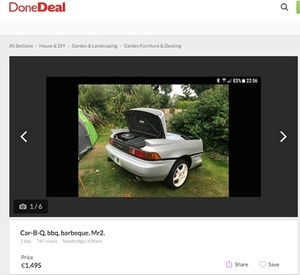 Posted in Misc and tagged BBQ, Done Deal at 3:29 pm on April 25, 2019 by Nick Kelly. Suggested to me by ‘sheet reader/contributor James M Chimney, this is the first single from a pioneering new Irish-Italian combo who sound a bit like The Specials on acid. ‘Pounded’ is culled from their upcoming debut album ‘Adapt And Evolve’ which is available from the usual online sources from May 5. We’re digging the psychedelic trippy visuals too, courtesy of Linn Hansen. The band members call themselves Major, Zar, Ghost and Mountain and have named their sound Transversal Rock. Nick says: Beam me up, boys. 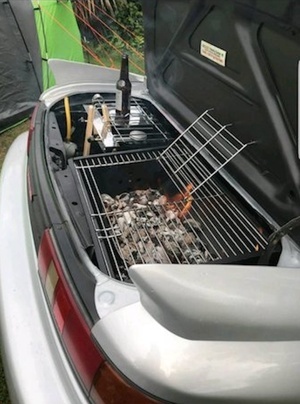 Posted in Misc and tagged You May Like This at 2:10 pm on April 25, 2019 by Nick Kelly. Cork’s criminally underrated and overlooked indie guitar kings play a special one-off acoustic gig in the picturesque seaside village of Malahide in the People’s Republic of North County Dublin. To get your juices flowing, here’s the video for their single ‘Stages’ from their excellent 2016 album ‘Songs For The Walking Wounded’ which features a spoken word verse from fellow Leesider Cillian Murphy. Nick says: You’d be a langer to miss this one, boy! Posted in Misc and tagged Frank And Walters at 12:46 pm on April 25, 2019 by Nick Kelly. 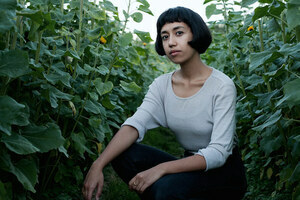 Filipino-American singer/songwriter Haley Heynderickx (top) starts her Irish tour tonight in Whelan’s, Wexford Street, Dublin 2. The tour continues on Thursday at Galway Roisin Dubh; Friday at Belfast American Bar; and Saturday at Mullingar Canton Caseys. Nick says: Don’t miss this alt.folk voodoo chile! The wind cries Haley! Etc. Posted in Misc and tagged Haley Heynderickx at 4:31 pm on April 24, 2019 by Nick Kelly. Fans of anthemic indie rock behemoths Snow Patrol are in for a treat as there’s a ‘warts ‘n’ all, access-all-areas’ documentary on the band tonight on BBC One NI at 10.35pm. 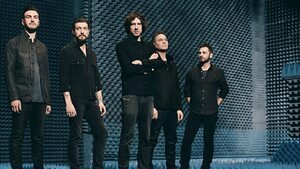 The film ‘Snow Patrol 25 Years On The Road’ follows Gary Lightbody and the gang as they trek the arena circuit from Dallas to Mexico City and New Orleans to Belfast. 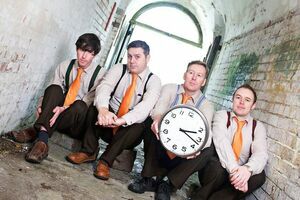 No better way to whet the appetite for their show in Malahide Castle on June 7. 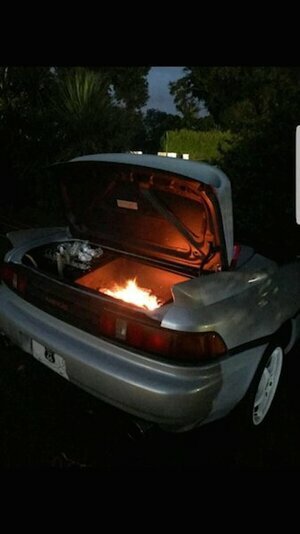 Posted in Misc and tagged Snow Patrol at 2:40 pm on April 24, 2019 by Nick Kelly. 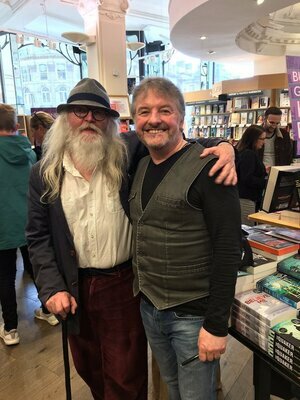 Dublin crime writer John Connolly (right) meets Prefab Sprout singer Paddy McAloon in Waterstones book shop in Newcastle, England. Posted in Misc and tagged John Connolly, Paddy McAloon, Prefab Sprout at 11:06 am on April 24, 2019 by Nick Kelly. 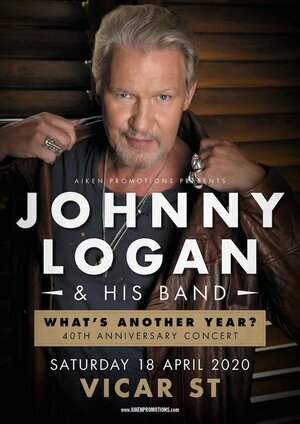 Posted in Misc and tagged Johnny Logan at 4:48 pm on April 23, 2019 by Nick Kelly. Calling all gig-goers – broadcaster and award-winning producer Cathal Funge is taking a trip down memory lane with his new four-part series The Front Row on Radio Nova. Were you at The Specials in Dublin in 1981? Echo & The Bunnymen in the SFX in 1985? The Clash in 1977? Then you need to hear this show. The series features the likes of Peter Devlin (of The Devlins), Paul Page (ex-Whipping Boy) and Canice Kenealy (Engine Alley) fondly reminiscing about their favourite concert down all the days. You can catch the show on Saturday evenings at 9pm, repeated on Sundays at 9am, and archived on Soundcloud (above). 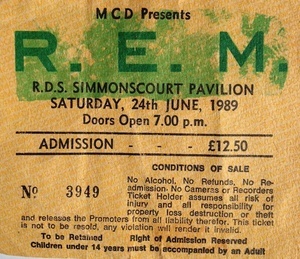 Next week’s episode features Hot Press journalist Niall Crumlish remembering REM’s legendary concert in the RDS in June 1989 during their ‘Green’ world tour. Posted in Misc and tagged Nova, REM at 4:18 pm on April 23, 2019 by Nick Kelly. 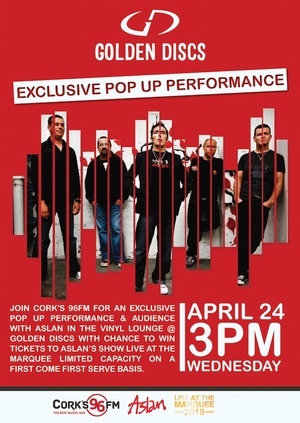 Dublin’s perennial pop stalwarts Aslan are Cork-bound when they appear in The Vinyl Lounge at Golden Discs on Patrick Street at 3pm. Christy Dignam and the gang will play live in store and be interviewed by 96FM ahead of their headline gig in the Rebel County on June 9th when they play Live at the Marquee with special guest Damien Dempsey. Fans who turn up tomorrow will also be able to win tickets to the show, which are on general sale here. It’s still a crazy world, boy! Posted in Misc and tagged Aslan, Golden Discs at 3:26 pm on April 23, 2019 by Nick Kelly.